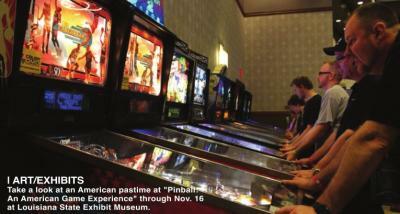 OCT. 24-NOV. 16: “PINBALL – AN AMERICAN GAME EXPERIENCE.” Experience the art, history and science of pinball as an American interactive pastime at this special exhibition with pinball machines from 1930s to the 1990s. Free. 9 a.m. to 4 p.m., Monday through Friday; noon to 6 p.m., Saturday and Sunday. Louisiana State Exhibit Museum, 3015 Greenwood Road, Shreveport. Visit www.pinballfreeplay.com. NOV. 12: CREATIVE ART CONNECTION. With sculpture artist Wesley Touchstone’s demo showing the process of casting and finishing a bonded bronze. Free. 6-8 p.m. 630 Barksdale Blvd., Bossier City. Call 965-0798. NOV. 7: WAM (WINE ART, AND MUSIC): Food and wine pairings, live music and art work by Sarah Joy Lewis. 5:30-8 p.m. $35. 1800 Prime Steakhouse, 300 Riverside Drive, Bossier City. Visit www.bossierarts.org. AGAVE: No cover. Happy hour Friday and Saturday, 5 to 7 p.m. 2-for-1 well, wine & draft. What the Funk, 8 p.m. Oct. 26, 27. Diamond Jacks Casino & Resort, 711 DiamondJacks Blvd., Bossier City. 678-7777. AMERICAN LEGION #14: Karaoke with Jay Couger, 6 p.m. every Tuesday; Karaoke with Dickie T, 6 p.m., every Sunday; Red Chute Band, Nov. 9; Back Beat Boogie, Nov. 16; Back When Band, Oct. 26, Nov. 23; Blue Rhythm Band, Nov. 2. 5315 Lakeshore Drive, Shreveport. 635-8186. BON TEMPS COFFEE BAR: Every Thursday from 7-10 p.m. is Thursday Night Vibes with local singers, songwriters, musicians and performers as they display their talents. Every Saturday night is poems and songs that pairs poems with smooth backing music from 7:30 p.m. to midnight. Adults Game Night with board games, card games interactive games and more. 6-10 p.m., Nov. 30. Chefs at Bons is a monthly event where local chef takes over to prepare a meal with live entertainment. 7-10 p.m., Nov. 2. Visit www.evenbrite.com for tickets. ArtLive is a fun and creative competitive event where local artists race a clock to create ad themed piece before time is up. Free. 450 Clyde Fant Memorial Parkway, Ste. 700, Shreveport. 734-9766. EL MONO: Costume contest, Oct. 26. $10 per person, 10 p.m. Win $100. 2400 E 70th St., Shreveport. 616-3600. THE STAGE AT SILVER STAR: Live entertainment. Gates open at 7 p.m. unless stated otherwise. Dylan Scott, Oct. 26; Jason Boland & the Stragglers and Cody Canada & the Departed, Nov. 16. 1201 Dixie Overland Road, Bossier City. 752-3633. Tickets available at www.outhousetickets.com. SUPERIOR GRILL: Live entertainment on the patio from 6:30-10:30 p.m. What the Funk, Oct. 24; Professor Pork Chop Band, Oct. 25; The Caravan, Oct. 26; Tyler Vosbury Band, Oct 27; Jason Sepulvado Band, Oct. 31. 6123 Line Ave., Shreveport. 869-3243..
TREJOS MEXICAN RESTAURANT: 5 Star Karaoke Plus, 6-10 p.m., Friday. 5795 N. Market, Shreveport. 929-0299. TWISTED ROOT BOSSIER: Friday Nights at the Root, 7-9 p.m. on the patio. Nick Sterling, Oct. 26; Austin Upchurch, Nov. 2; Mitchell Ferguson, Nov. 9; David Adam Byrnes, Nov. 16; Tyler Dudley, Nov. 23. 2578 Airline Drive, Bossier City. OCT. 27: AN EVENING WITH BROADWAY STAR ASHLEY BROWN. The Broadway vocalist has starred in “Mary Poppins” and “Beauty and the Beast.” $15-$66. 7:30 p.m. First Baptist Shreveport, 543 Ockley Drive, Shreveport. Visit www.shreveportsymphony.com. NOV. 3: SHREVEPORT SOUNDS: A MUSIC HISTORY SYMPOSIUM. The one-day symposium will investigate the history of North Louisiana’s various decades of music and musicians. Moderated by Winston Hall. $75. 8 a.m. to 3 p.m. Robinson Film Center, 617 Texas St., Shreveport. Visit www.eventbrite.com. DEC. 8: THE JAMES BURTON CHRISTMAS CONCERT: MEMORIES OF ELVIS. With music from James Burton, Estelle Brown and other special guests singing Christmas music, a tribute to Elvis and more. $30. 8 p.m. Paradise Theatre, Margaritaville Resort Casino, 777 Margaritaville Way, Bossier City. 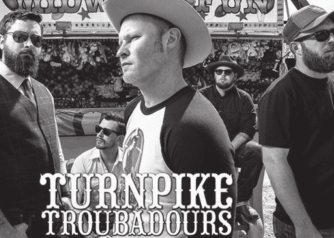 Visit www.ticketmaster. com. DEC. 13-16: WRONG NOTE RIGHT: THE STORY OF AN ACCIDENTAL PIANO MAN. Join us for a special evening of theatrical and musical adventure as storyteller and award-winning piano entertainer Winston Hall shares the colorful tale of his unlikely rise as one of North Louisiana’s most popular performers. $20. 7:30 p.m.; 2:30 p.m., Dec. 16. East Bank Theatre, 630 Barksdale Blvd., Bossier City. Visit www.eventbrite.com. OCT. 25-28, NOV. 2-4: A SOUTHERN EXPOSURE. A warm comedy about love, forgiveness and letting go. $20, seniors; $22, adults. 7:30 p.m.; 2 p.m. Sunday performances. Opening night reception is at 6 p.m., Oct. 25 for $35. Shreveport Little Theatre, 811 Margaret Place, Shreveport. Visit www.shreveportlittletheatre.com. NOV. 5: WEST SIDE STORY OPERA NIGHT DINNER. An evening of fine wine, exquisite cuisine and thrilling opera with great music as you meet the principal artists of West Side Story. $85. 5:30 p.m. The Petroleum Club, 416 Travis St., Shreveport. Visit www.shreveportopera.org. NOV. 9: WEST SIDE STORY. Shreveport Opera presents this thrilling musical. $25-$95. 7:30 p.m. The Strand Theatre, 619 Louisiana Ave., Shreveport. Visit www.shreveopera.tix.com. OCT. 27, NOV. 3,10,17: SHREVEPORT FARMERS’ MARKET. With locally-grown produce, homemade food and crafts, hot food, and live music. Special visit from The Navy Band, Nov. 3. 8 a.m. to noon. Festival Plaza, 101 Crockett St., Shreveport. Visit www.shreveportfarmersmarketc.om. 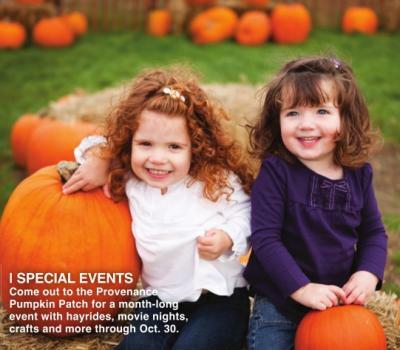 THROUGH OCT. 31: SML HALLOWEEN MAGIC SHOWS. Featuring local performer, DAT Does the Trick. For Shreve Memorial Branch locations and times visit www.shreve-lib.org. OCT. 24: HAUNTED HISTORY WITH CHERYL WHITE. Tickets on sale now. $10. 6 p.m. Spring Street Historical Museum, 525 Spring St., Shreveport. Visit www.eventbrite.com. 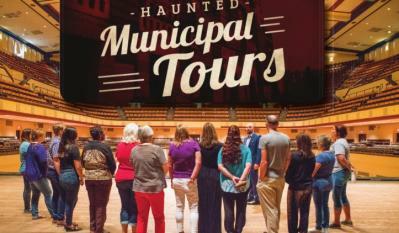 OCT. 25-27, 28, 31: HAUNTED TOURS OF SHREVEPORT MUNICIPAL AUDITORIUM. 90-minute tours of one of the most haunted places in North Louisiana. $20; must purchase online. 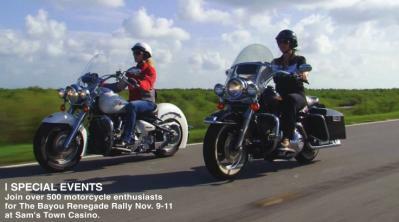 6:30 p.m., Oct. 25, 27, 31; 8:30 p.m., Oct. 27; 2 p.m., Oct. 28. Shreveport Municipal Auditorium, 705 Elvis Presley Ave., Shreveport. Visit www.shreveportmunicipalauditorium.com. OCT. 27: HISTORIC HALLOWEEN TOUR. 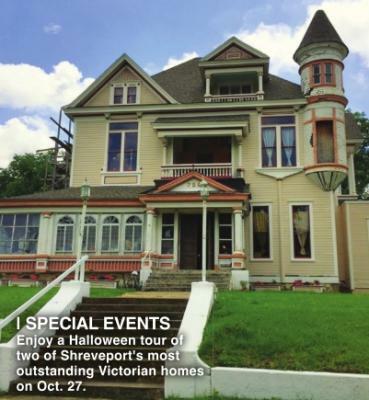 Tour two of the finest and most famous Victorian homes in downtown Shreveport, Ogilvie-Wiener home and the Logan Mansion. $10. 6-8 p.m. 728 Austen Place, Shreveport. OCT. 27: '80S PROM NIGHT. Zombies, prom queens, punk rockers and vampires, dance all night to live '80s band. Enjoy scary karaoke, complimentary “horror” d’oeuvres, costume contests and more. Cash bars throughout serving wine, beer and "spirits." Ages 21 and older. $30. 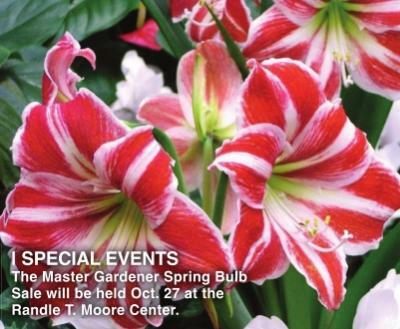 7 p.m. to 1 a.m. Shreveport Aquarium, 601 Clyde Fant Pkwy., Shreveport. Visit www.shreveportaquarium.com. OCT. 31: TRUNK OR TREAT. With inflatables, games, music, candy, photo booth, food and more. Free. 5-7 p.m. Mangum Memorial United Methodist Church, 3939 Pines Road, Shreveport. NOV. 2: PROHIBITION PARTY. With music from Bill Causey Orchestra, food by Chef Anthony Felan, a cash bar and more. 1920’s cocktail attire is encouraged. $75. 7-10 p.m. Flying Heart Brewery, 700 Barksdale Blvd., Bossier City. Visit www.eventbrite.com. NOV. 4, 11,18, 25: CRAFT BEER COURSE. Study a variety of serving skills in this new course. 21 and older. $99 plus $35 supply fee. 5-7:30 p.m. Red River Brewing Company, 1200 Marshall St., Shreveport. Call 678-6015. NOV. 4: ALL Y’ALL LIVE: “LET’S EAT.” The 15th installment of live storytelling event series featuring six true stories told live, without notes, on the subject of food. $15. 1 p.m. Red River Brewing, 1200 Marshall St., Shreveport. Visit www.allyallblog.com. NOV. 5: PLANTS OF THE CADDO INDIANS. Learn from Daniel Mills about common plants used locally by the Caddo Indians for food, medicine and wares. Ages 8 and up. Bossier Parish Library's History Center, 2206 Beckett St., Bossier City. Call 7465-7717. NOV. 10: ARK-LA-TEX GENEALOGICAL ASSOCIATION MONTHLY MEETING. With Jim Jones’ presentation “DNA Test Result – Next Steps.” 1-3 p.m. Shreve Memorial Library, Broadmoor Branch, 1212 Captain Shreve Drive, Shreveport. Visit www.altgenealogy.com. NOV. 17: PANCAKE BREAKFAST FOR YOGIE AND FRIENDS. Fundraiser to help Yogie and Friends cats. $5. 7-10 a.m. TaMolly’s, 2509 Beene Blvd., Bossier City. Visit www.yogieandfriends.org. BOOMTOWN CASINO & HOTEL: 300 Riverside Drive, Bossier City, 746-0711. www.boomtownbossier.com. October Promotions: $50,000 Potion Punch is every Friday. With up to $2,500 in bonus rewards. Five winners every 30 minutes. Drawings from 7-10 p.m. Pick a Pumpkin Kiosk Game is 1-4 p.m., Sundays and 5-9 p.m. Wednesdays. Everyone is a guaranteed winner. Swipe your mychoice card at any mychoice kiosk to reveal your prize. DIAMONDJACKS CASINO & RESORT: 711 Diamondjacks Blvd., Bossier City. 678-7777. See Rewards Club for details. Restrictions apply. New Member. Receive up to a $100 refund in the mail. Mail offer based on play. Happy Birthday. Come in on your birthday, swipe your Rewards Club card and receive a present from us. October Promotions: $75 K Spooktacular Sweepstakes. Win a share of $75K in slot play, gift cards and a fall getaway. Drawings from 7-11 p.m. every Friday and Saturday. Pumpkin Power Swipe & Win is from noon to 6 p.m. every Tuesday. Win treats, slot play, cash, points and more! Gift Day Rewind is from noon to 6 p.m on Oct. 10, 17, 24 with a chance to receive past gifts with 10 slot plays. 50+ Diamond Club is every Thursday. 10X Points is from 5-7 p.m. every Friday. Submit your email to the Rewards Club for a chance to win a share of $500! Halloween Jack O’ Play is from noon to 6 p.m., Oct. 31. Win up to $500 in slot play! MARGARITAVILLE CASINO AND RESORT: 777 Margaritaville Way, Bossier City. 855-346-2489. www.margaritavillebossiercity.com. October Promotions: Margaritaville Millions Continuity Game. Island-themed game is every day. Play N’ Get Wine Series is every Monday. 2x Play Wednesdays where guests receive two free game plays on Wednesdays only. Sunday & Wednesday is $35K Mini Baccarat Hot Seat with drawings from 8-11 p.m. Two names will be drawn every 15 minutes for $200 in promotional chips. All Access members will receive $400.